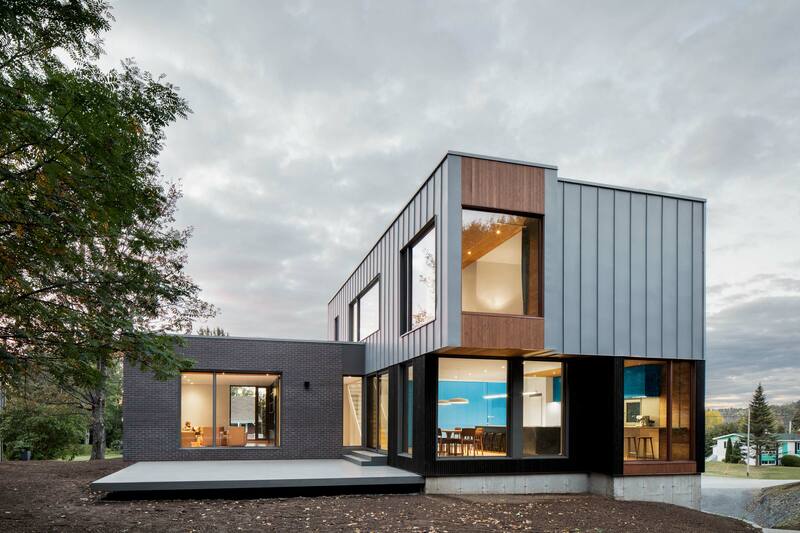 In the Rimouski region, close to the Bic National Park, the clients own of a small house located on the heights of the village that they wish to extend while retaining a trace of its presence. 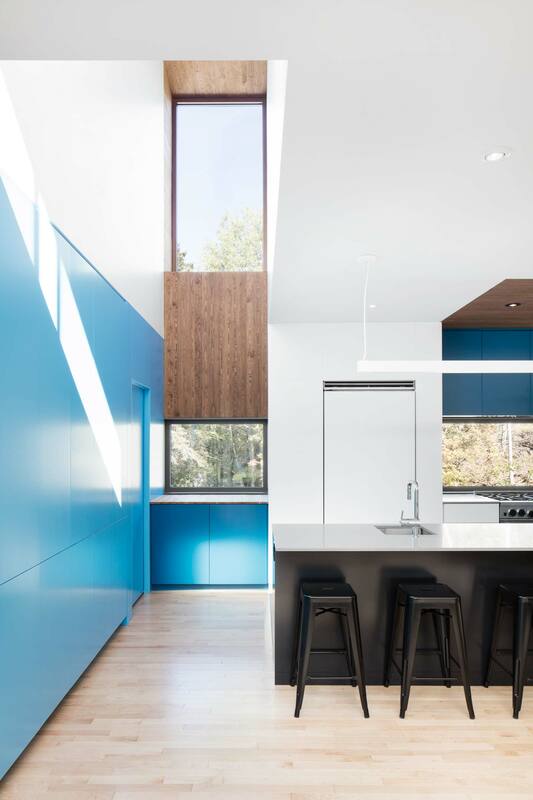 Their new needs lead to completely transform and enlarge the original house. 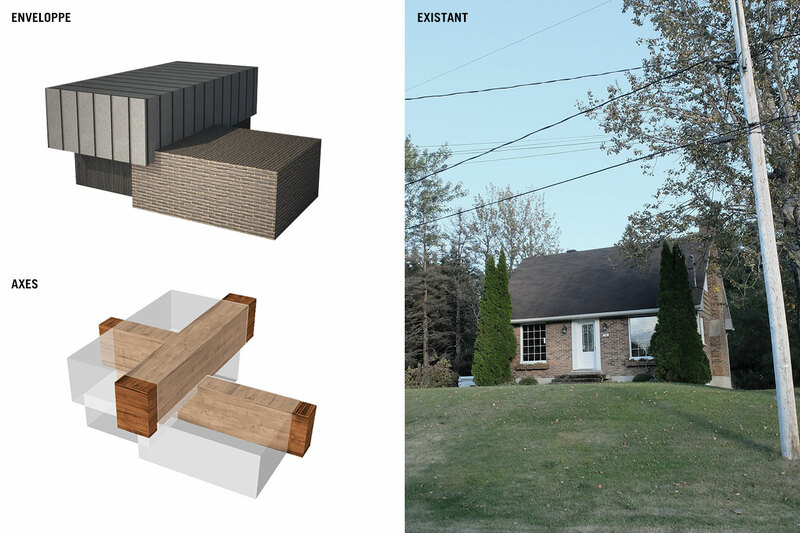 Two volumes of wood and steel are juxtaposed in an L shape to the existing volume coated in brick, now containing the entry,office space and living room. 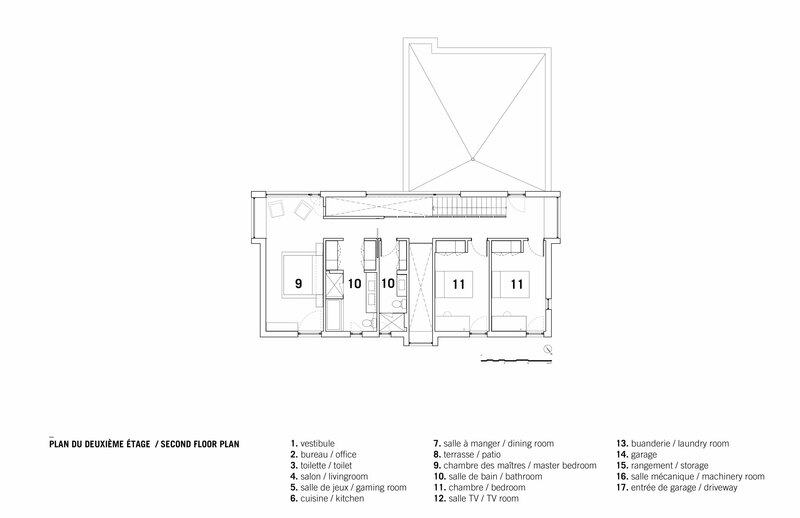 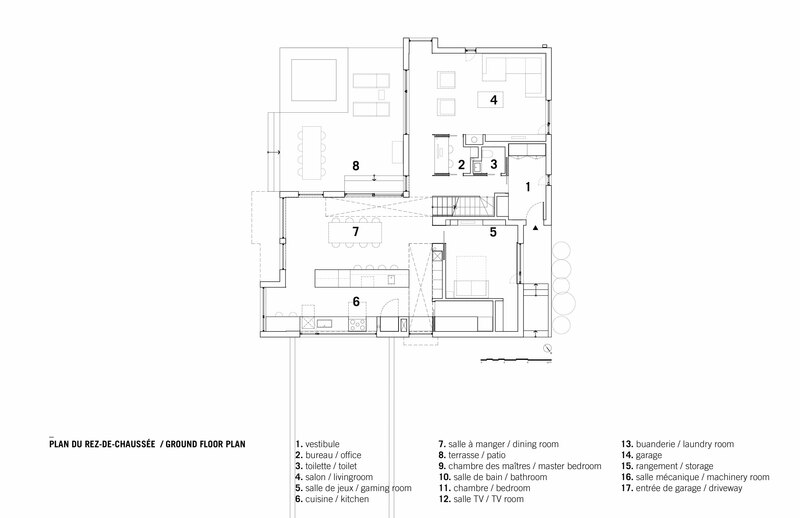 The two new volumes host the kitchen and dining room on the ground floor and the bedrooms and bathrooms on the second floor. 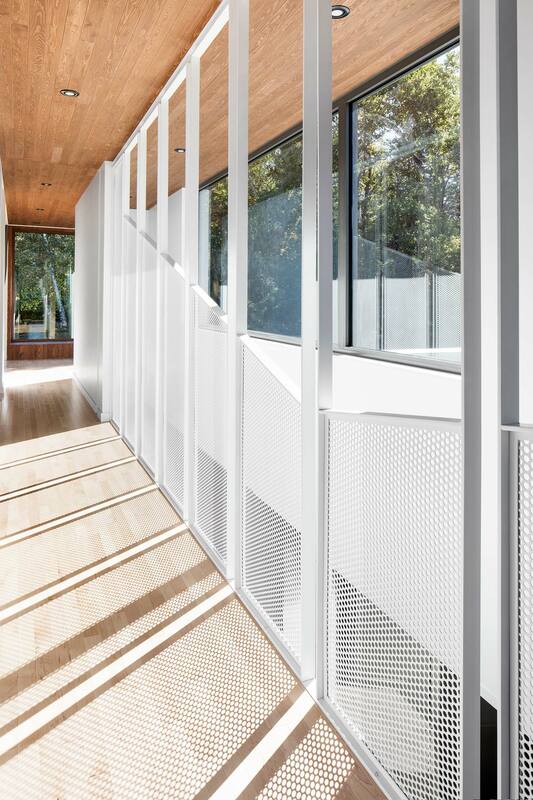 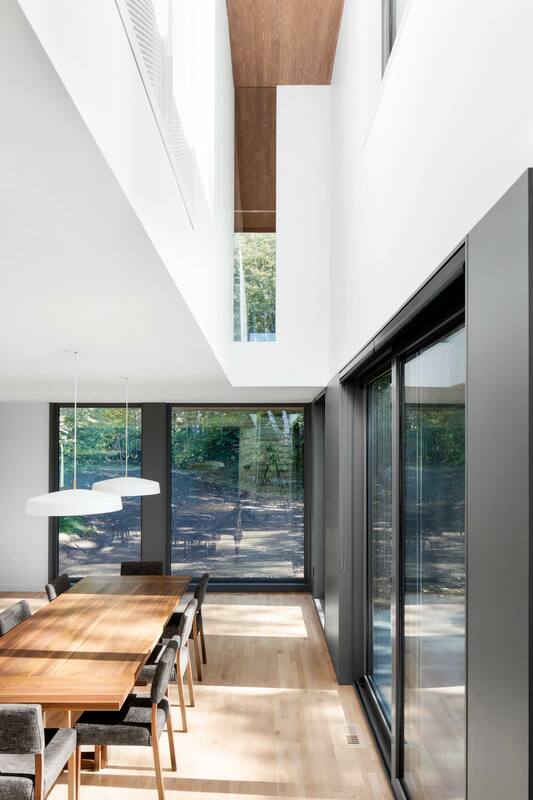 The two new overlapping boxes protrude towards the edge of the forest allowing to insert a new terrace overlooking the garden.Double height volumes flooded with natural light are thus defined at the junction of the three boxes. 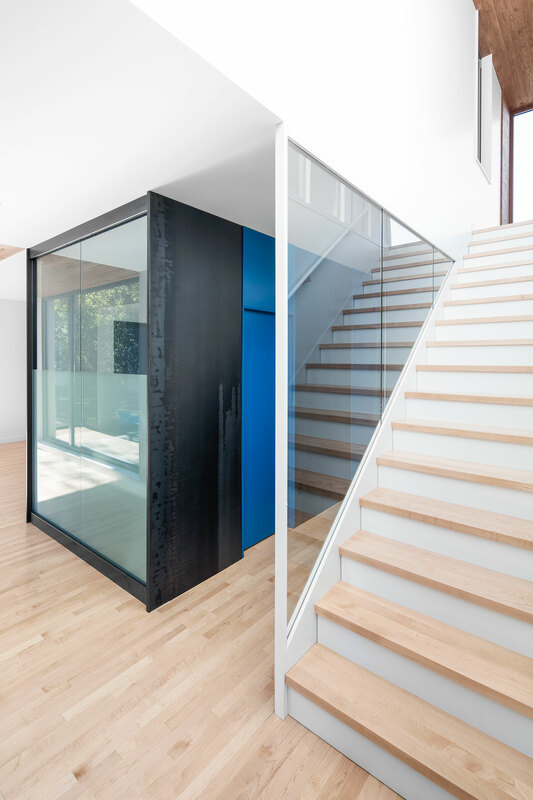 Organizing the inner space, they delineate picture frame onto the surrounding landscape. 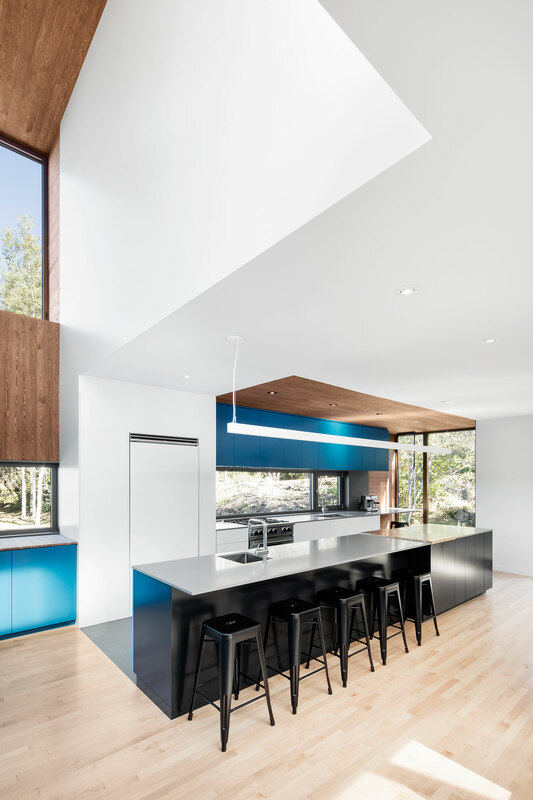 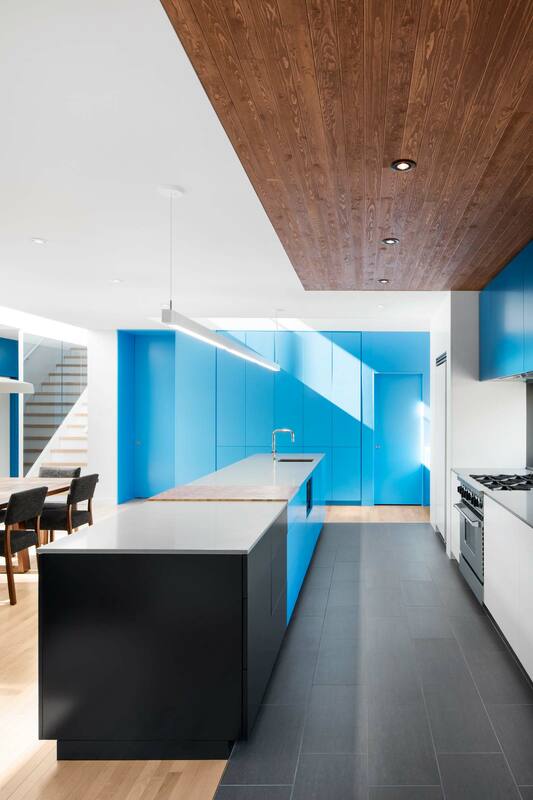 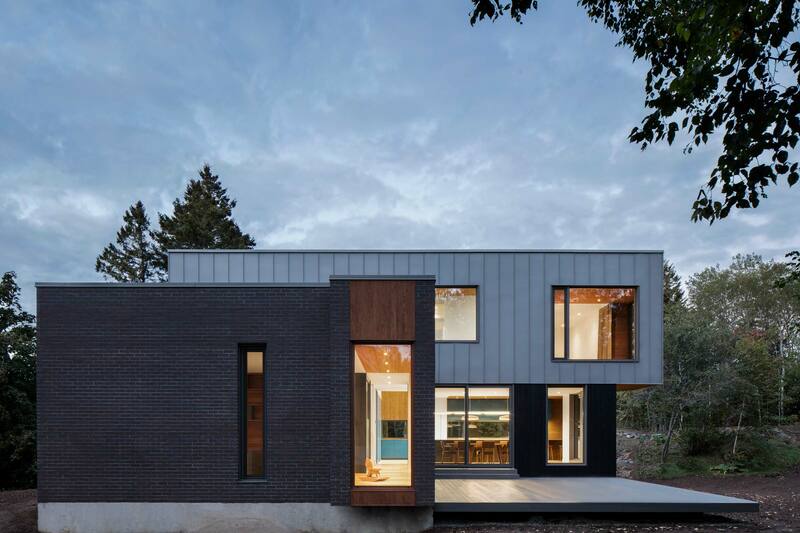 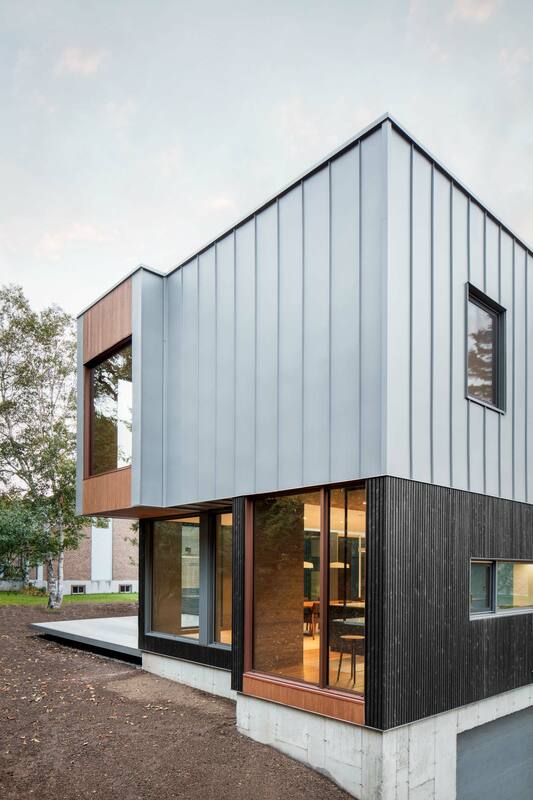 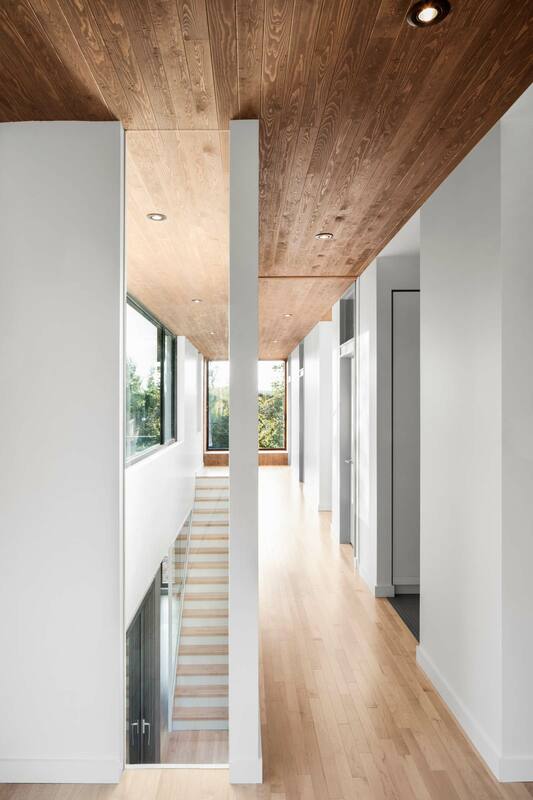 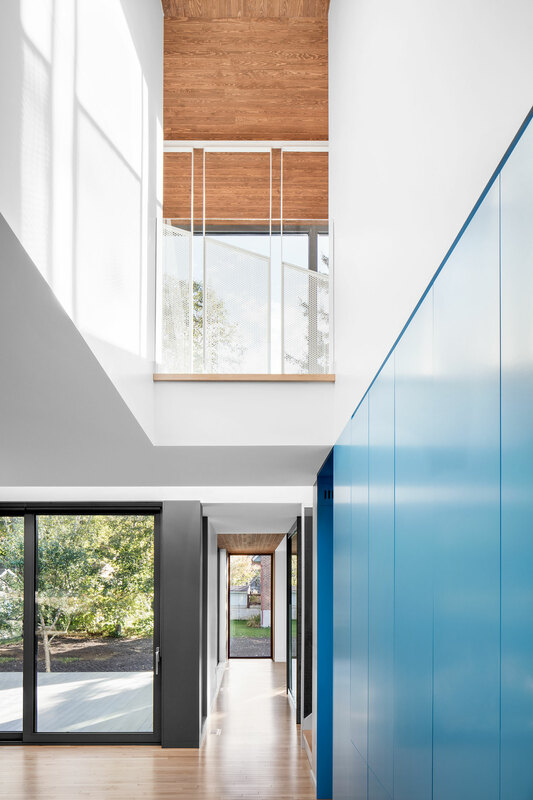 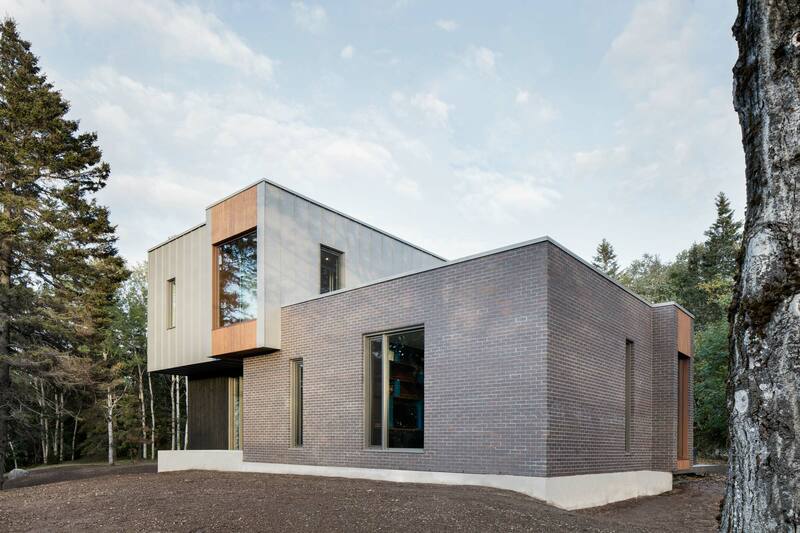 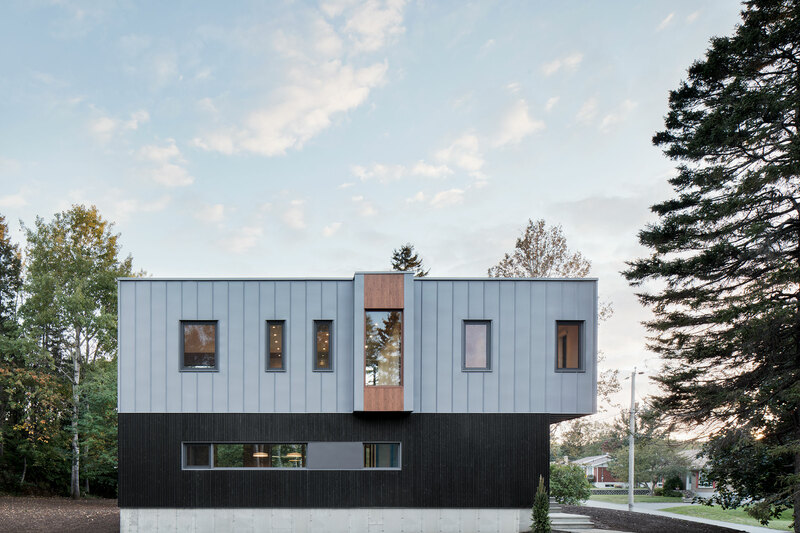 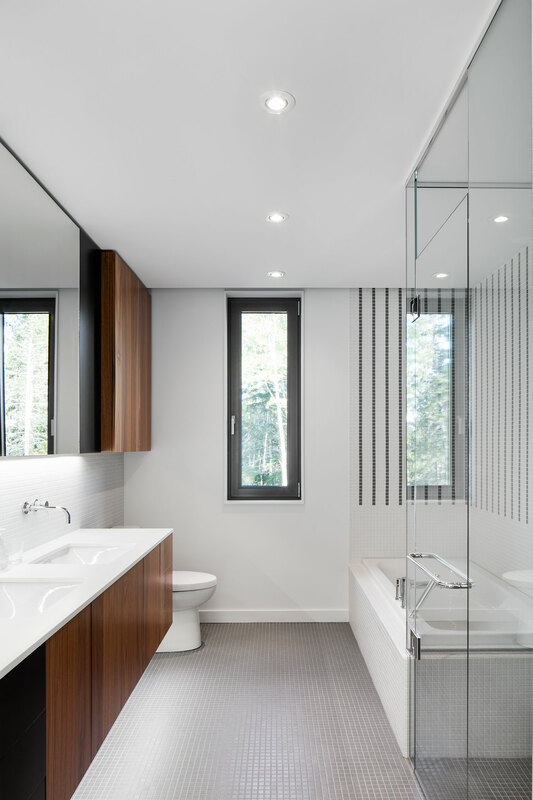 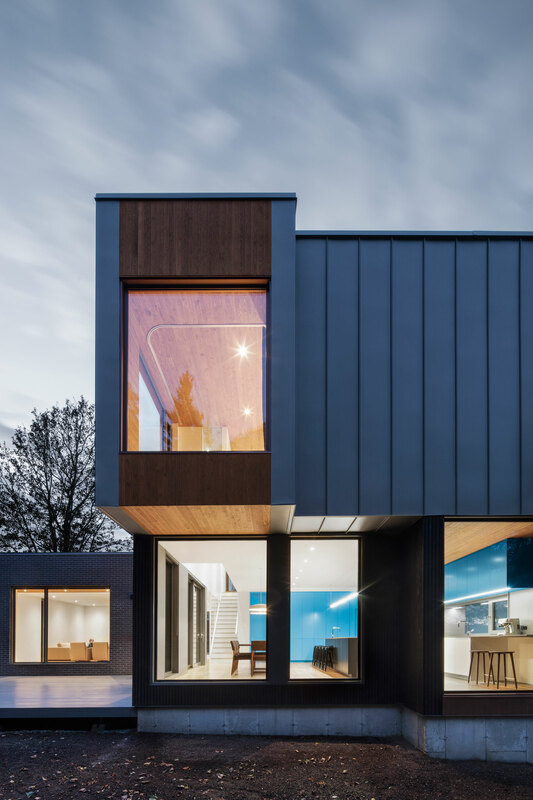 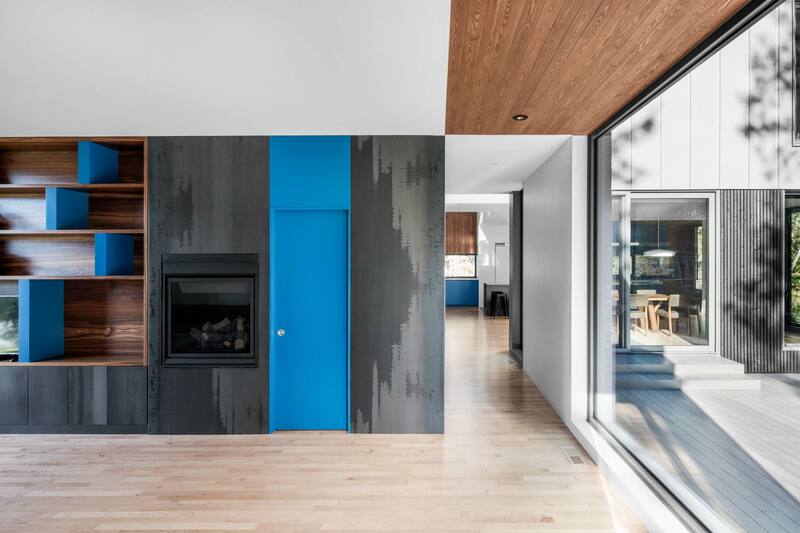 A color palette composed of gray, black and blue juxtaposed to cedar wood corridors create a visual and geometric continuity within the living spaces.